Chicken soup is one of those recipes you can fudge to your heart’s content. Use what you have, substitute, leave this out, add that. Yesterday I wanted to make chicken and dumpling soup. Instead of following the recipe I found online, I put together my own combo. Near as I can remember, the following is what I used. If you don’t want to make dumplings, you can add noodles or cooked rice to the soup. Place the chicken in a large stock pot and add enough water to cover the meat. Add the onion, bay leaves, basil, thyme, garlic and celery seed. Bring to a boil, cover and turn down to a simmer. Simmer for one hour. Remove the meat and let stand in a bowl. Add the chicken broth, carrots and salt to the liquid in the pot, and bring to a boil. 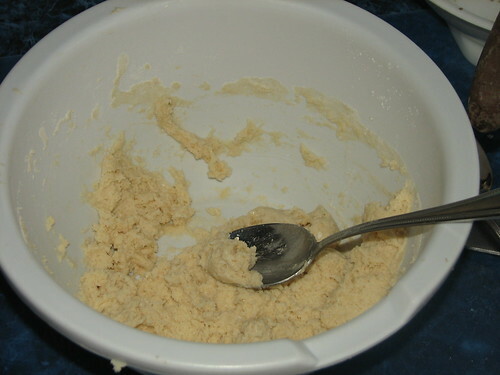 Mix the dumpling dough. Place the flour, baking powder and salt into a small bow. Mix well. Add the milk and stir until well combined. 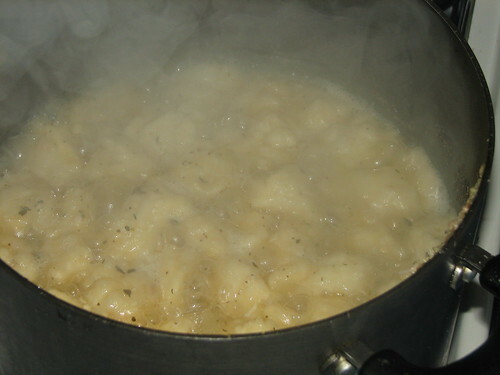 Add the dumplings, one at a time, to the boiling liquid. I dropped them by teaspoonfuls. They will expand as they cook. Simmer the dumplings for ten minutes, uncovered, then cover and simmer for 10 additional minutes. While the dumplings are cooking, dice the chicken. Add to the soup pot when the dumplings are cooked. Stir and heat through. Remove bay leaves, add freshly ground pepper to taste and serve. 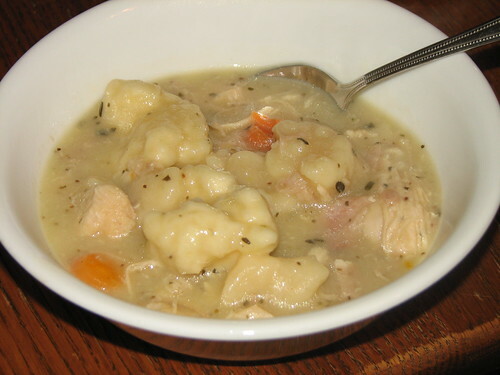 This entry was written by ~~Rhonda, posted on February 16, 2010 at 2:36 pm, filed under Recipes and tagged chicken and dumplings, cooking, recipe. Bookmark the permalink. Follow any comments here with the RSS feed for this post. Post a comment or leave a trackback: Trackback URL. Thank you for this recipe. I am going to make it for my family for Christmas Eve dinner. Merry Christmas!